Did anyone catch the recent documentary The Billion Pound Flower Market? It was really interesting and I had mixed feelings after watching it. It made me proud of all of the fabulous florists we have in this country championing British grown flowers, but I also watched the workings of the Dutch flower industry with complete awe – it’s unbelievably high tech and well organised. 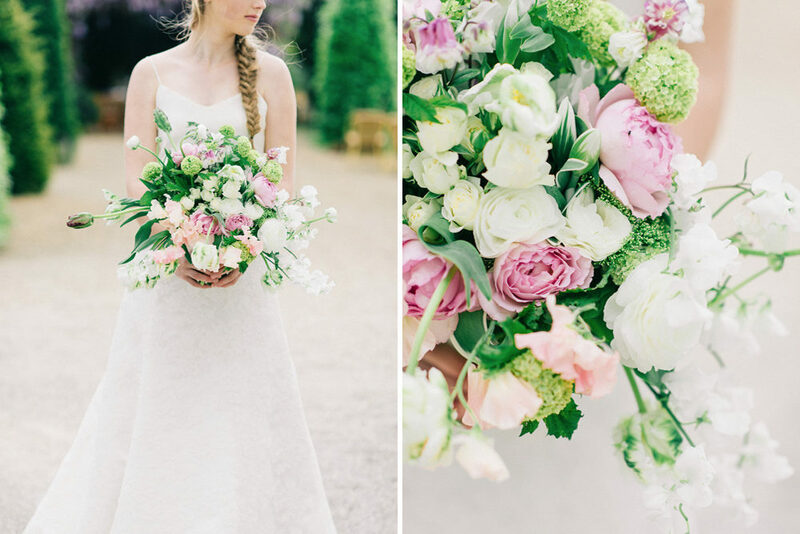 The people of Holland have access to some seriously beautiful blooms! Lots of which are on show in today’s glorious shoot, which draws inspiration from the beautiful French countryside. 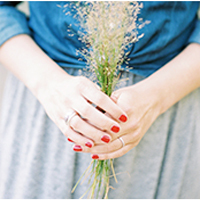 Natalia from bloemenmeisjes.com is a lady with impeccable taste – the styling and blooms here are simply beautiful. 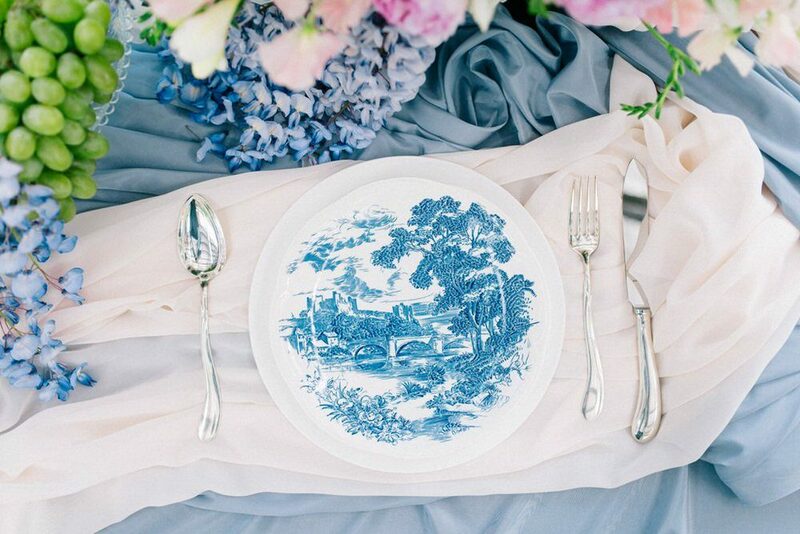 Styled Shoot Dusty Blue from Stories to Tell – Jacqueline on Vimeo. Natalia, floral designer & stylist: I love spending long summer evenings with my family and friends sitting at the table with candles, flowers and beautiful flatware somewhere in the Provence countryside. When the time almost stops, and you are surrounded by all this beauty and just enjoying the moment. It looks & feels a little like a Claude Monet’s paintings. Sometimes I feel like I was born one or one and half century too late. My heart melts from seeing chic dining tables and silver cutlery on a table covered with gorgeous linen with lovely large wild flower arrangements. Being outside, listening to the wind and the evening song of the blackbird, smelling the flowers and herbs from a garden and feeling the warmth of the last rays of sun on your face before the sun goes down. Feeling joy and peace and enjoying that moment. Those moments are precious for me. I carry them with me in my memory. This spring I wanted to make a wedding editorial that captured one of those moments in a picture. 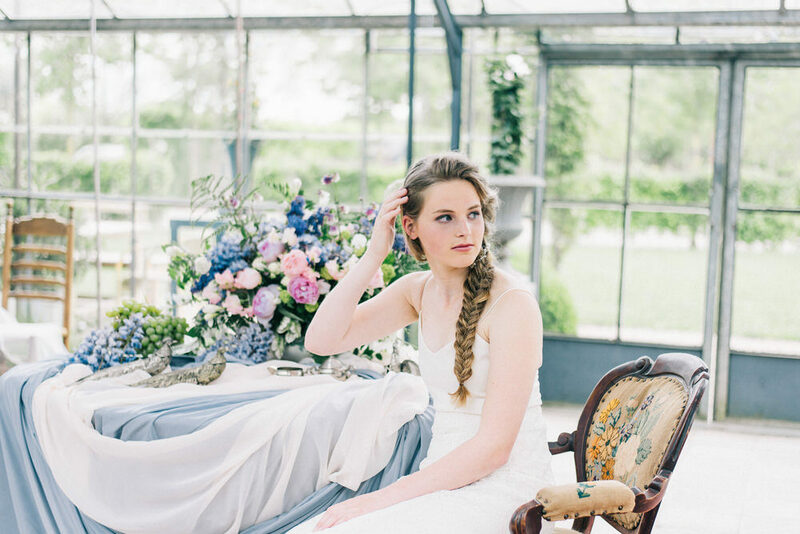 Inspiration for this editorial was the French countryside & French impressionists paintings. When I was looking for a location, I came across Hoogh Huys near Nijmegen (The Netherlands). 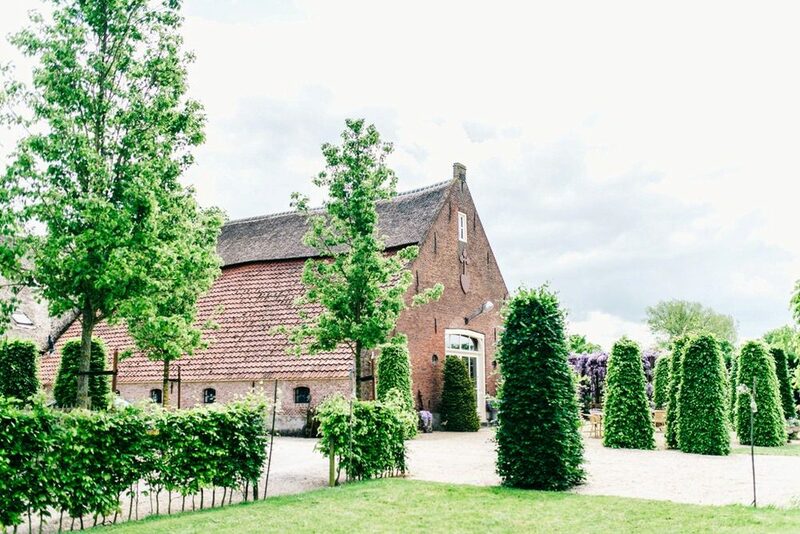 This venue had a charm of an old French country house and had everything we needed: beautiful garden, authentic glasshouse with gorgeous light, plenty of space and very welcoming owners. It was important for me to create the intimate and warm atmosphere during the shoot, to make sure this moment will be kept in the memories forever. French impressionism is an art of immediacy and movement, candid poses and compositions, play of light expressed in a bright and varied use of colour. We started with this idea of immediacy movement & play of light and the colours on the table. We played with the texture and light and dark shades & shadows of blue and violet. We added our gorgeous model into the scene and tried to capture movement transience of life. 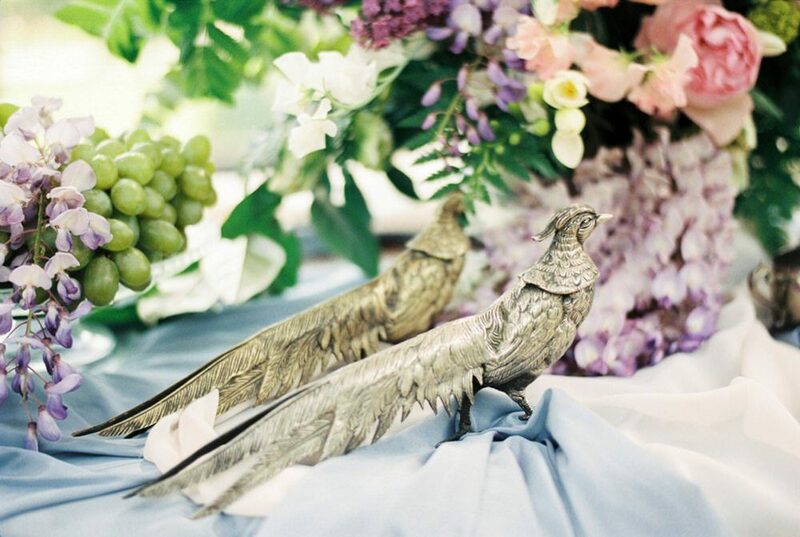 The flower arrangement was also inspired by impressionists’ paintings. 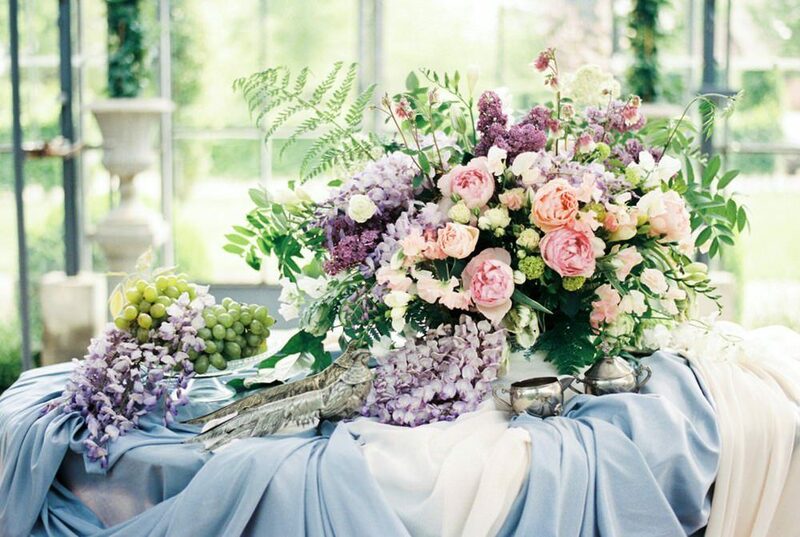 The light colours, blue, violet and soft rose tones come together in this large scale flower arrangement. The variety of the flowers and the structures gives the depth and your eye is moving around the flowers and is looking for the details. Parrot Tulips, Freesia’s, Aquilegia’s, Lathyrus and Ferns give this centrepiece a playful look. Lilac and Wisteria add the shades and violet tones. Gorgeous French garden roses (Piaget Pink & Princess Charlene De Monaco from Meilland Company) draw your eyes to the arrangement. Laura van Rooij Bridal couture has designed a bridal gown especially for this editorial. She says: “The bridal gown was inspired by a traditional lace wedding dress with a modern twist. It was made from silk. The back of the wedding dress has handmade silk buttons. The skirt was created from the French corded lace with ivory-coloured flowers”. I’m very honoured to work with a team of professionals with whose effort the editorial was made possible. 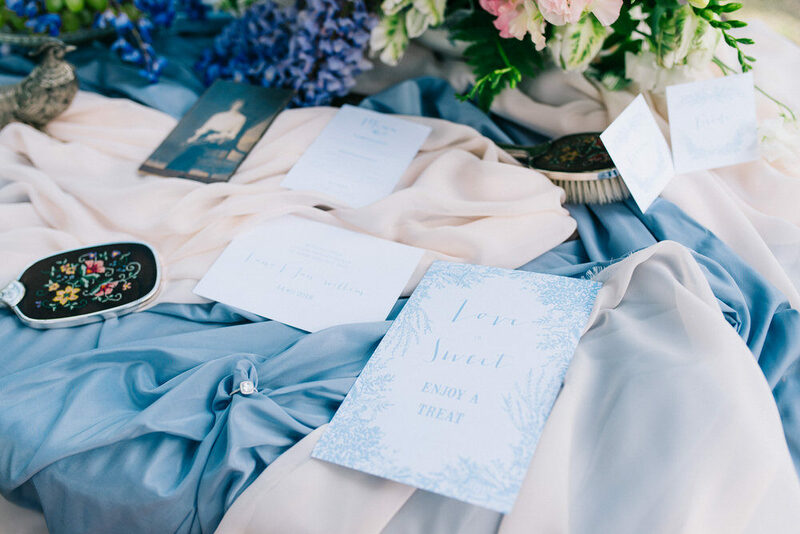 All sweet details that make a wedding so nice: stationery in soft dusty blue colours, silver cutlery and the antique French plate, astonishing bridal gown and incredible hair accessory. 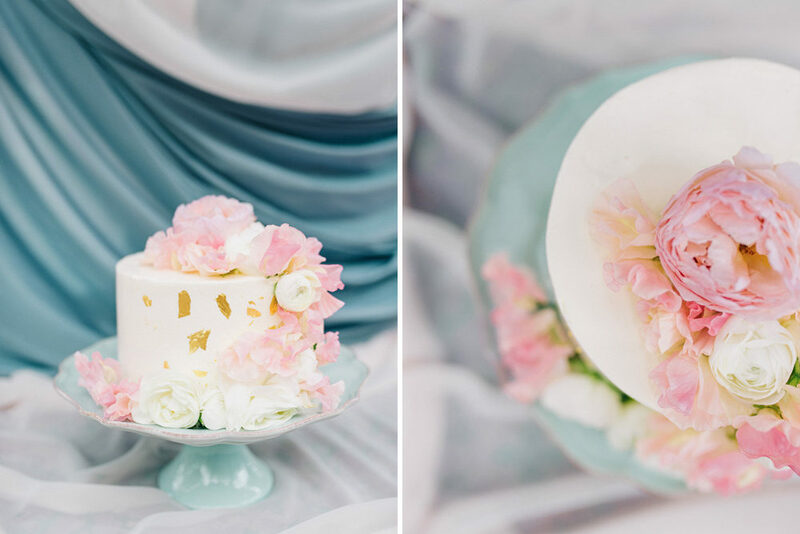 The wedding cake was decorated with the same flowers to create a coherent look & feel. All captured on a video and in the pictures. Sit back, look at the pictures and enjoy this moment at French countryside!